The 2018 Beijing Summit of the Forum on China-Africa Cooperation (FOCAC) kicked off on September 3, which is a big celebration for the forum’s 18th birthday. This year’s summit brought three big “gifts” to China, Africa and the world. The first major “gift” is substantial and stable cooperation between China and Africa. It is well known that presently, the international community is facing major strategic uncertainties. While U.S. President Donald Trump made the “America First” doctrine his governing concept, great uncertainty still exists as to how the idea will be put into practice. Trump has even earned the nickname “unreliable Trump.” Brexit talks have reached a disturbing deadlock. And there is a possibility that Britain will walk away with no deal. Currencies of some emerging economies, Turkey and Argentina in particular, have been devalued by a large margin, making prospects of their economic development unclear. At the same time, China and Africa are facing their respective uncertainties. Against this backdrop, the 2018 FOCAC Beijing Summit is outlining clear plans for mid- and long-term cooperation strategies between China and Africa that will inject certainty into the current global landscape sated with uncertainty. The second major “gift” is that the China-Africa community with a shared future is moving towards a closer relationship. The most important fruit of this year’s summit is realizing connectivity among action plans such as Transforming Our World: The 2030 Agenda for Sustainable Development and African Agenda 2063, China-proposed Belt and Road Initiative and development strategies of various African countries. This achievement not only meets the sustainable development requirement of the world, Africa and China, respectively, but also corresponds to the concept proposed by Chinese President Xi Jinping that China should transform from high-speed growth to high-quality development. And it is extremely important for China and Africa to march towards higher development together. Thus, building a China-Africa community with a shared future will be driven to a deeper level, and a model for constructing a community with a shared future for mankind will be provided. The third major “gift” is providing new ideas for transformation of the international system. China is now rising as an innovation-oriented nation under the framework of the international system. During this process, the key issue that needs to be pondered over and addressed remains whether the rise of a great country brings benefits or harm to the international community? In human history, developing countries have often fallen victim to rising great powers. Slave trade and colonial wars offered grim proof. The 2018 FOCAC Beijing Summit marks an important step for China towards becoming an innovation-oriented nation under the framework of the international system, which will make developing countries beneficiaries of China’s rise. 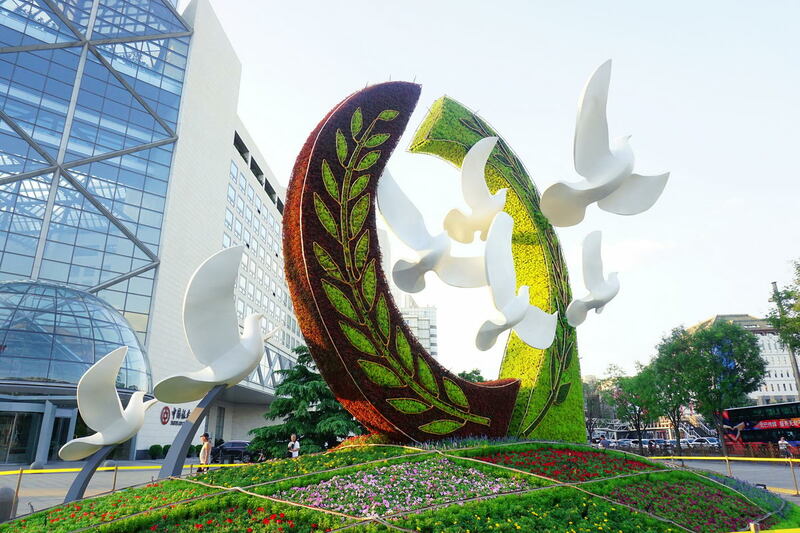 It should be noted that for FOCAC, there is still a long way to go from its 18th birthday to maturity as a real “adult.” The road ahead is filled with difficulties and hardships. However, only through this process will FOCAC become more mature. The author is director and research fellow of the Institute for Foreign Policy Studies under Shanghai Institutes for International Studies.